Now the Surgeon said Cali would be away from the ward for 1-2 hours so when the time started to go way past the 2 hour mark I started to worry. Then the surgeon came to find me which made my heart sink. He was like the operation was a success, but, and as soon as I heard “but” I thought OMG I don’t wanna hear anymore. Luckily my cousin was with me and obviously wasn't a nervous wreck like me, so she listened to what he said and took it all in while I just caught little bits and pieces of the worse parts. But basically there was a problem with getting her to wake up from the anaesthesia and she had blocked airways and had stopped breathing and needed oxygen. But all I heard was ‘Shes stopped breathing, Heart, No Oxygen dead.’ She then had to be on the HDU (High Dependancy Unit) and was hooked up to all kinds of monitors which made me scared all over again. Even when she woke up I was scared to touch her, it was almost like she was a new born again (I was petrified to touch her then because she was tiny and I thought I might break her) she was like “Mummy why are you scared?” I was like “I’m not scared, I just don’t wanna hurt you” and she was like “Mummy you won’t hurt me and if you do I will tell you so there's no need to be scared” Yes, she’s only 5 lol She clearly dealt with it a lot better than me all I did was cry for most of the day while she just got on with it. The bad thing about her staying in HDU was that there was no bed for me to sleep in so I would've had to sleep in the chair (which I wasn't looking forward to.) Then after monitoring her they moved her back onto the ward (where I had a bed and could sleep right beside her) but they put her right at the front by the nurses station so they could keep a close eye on her and she was once again hooked up to a machine to monitor her oxygen levels, which obviously freaked me out again. Then I was too scared to sleep. 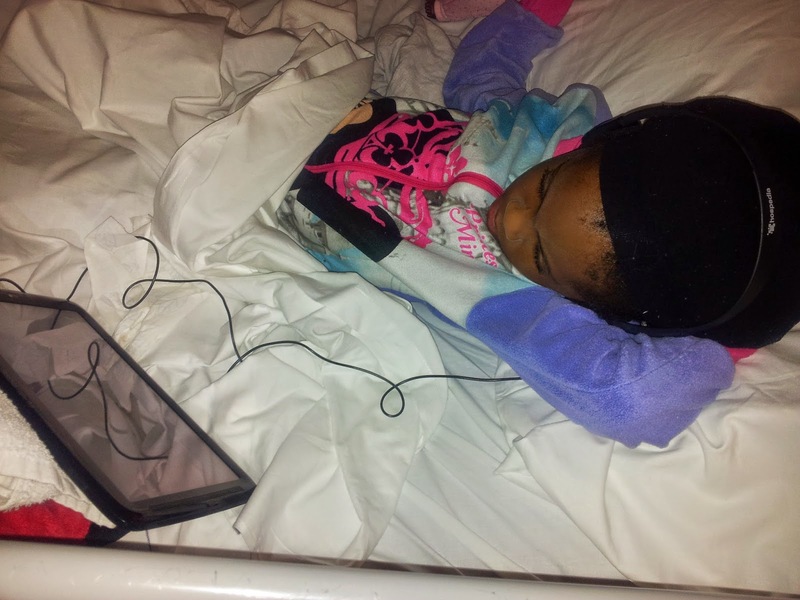 Although she was fine and while other kids screamed and cried she just snuggled with my tablet and watched Jem. So I decided to run to the loo quickly and on my way back I heard an alarm going on then realized it was her oxygen alarm and then saw a nurse rushing over to her which made my heart sink. Although she was completely fine I was scared to wee or sleep after that.